National security is a very critical matter this is why many countries fortify their defences. This gave rise to weapons importers and exporters in the world. 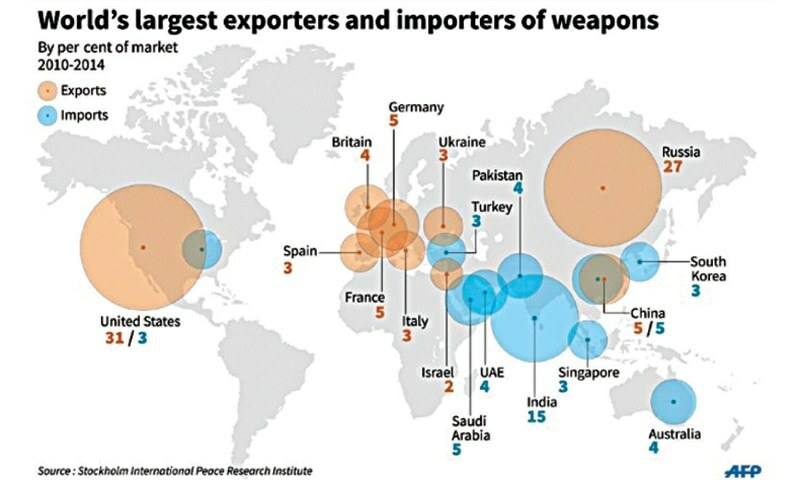 IHS Aerospace, Defense & Security have determined the top weapons importers and exporters in the world. 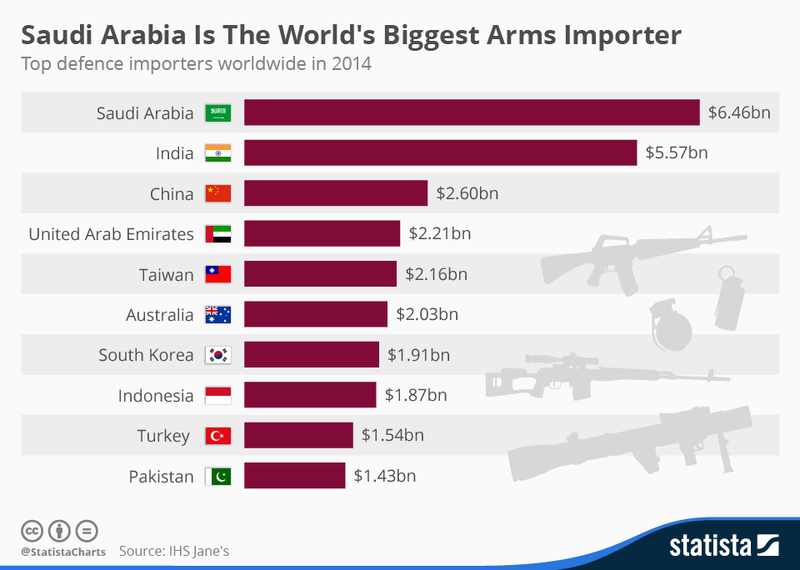 Top importers: For the year 2014, Saudi Arabia overcame India as the world’s top importer of defense equipment. Saudi Arabia imports gushed by 54% in 2014 because of the demand of military aircrafts and defense equipment especially with the recent intensification of regional tensions in Middle East as well as the Asia Pacific. IHS furthermore revealed that this year, Saudi Arabia will receive deliveries worth $9.8 billion – a 52% increase based on the forecast. China is the third largest defense importer in 2014. Top exporters: The United States is still the top contractor of defense equipment around the world. The top weapons exporters include America’s Boeing and Lockheed Martin and Raytheon, Europe’s Airbus Group and Russia’s United Aircraft Corporation. However, some exporters are suffering setbacks for various reasons like sanctions and oil prices. In the case of Russia, China is depending on Russian technology less. We do not know where Singapore gets its military aircrafts and other defense equipment but we have to know that we are safe and secure because of this. Defense should be fortified for the safety and security of the citizen not to engage to war and other conflicts.